Men may be from Mars and woman from Venus, but Dirtbox Menswear opened on James Street last week and we think that the beautiful new store will align the planets and create quite the sartorial stir. For the fashion-conscious gentleman, Dirtbox Menswear is a haven for unique and well-crafted clothing to suit all ages, with its timeless and understated style. And for the ladies, you now have the perfect excuse to drag your other halves for a shopping trip on James Street…It's probably about time that he updated his wardrobe anyway! Who says floral isn't appropriate for winter? 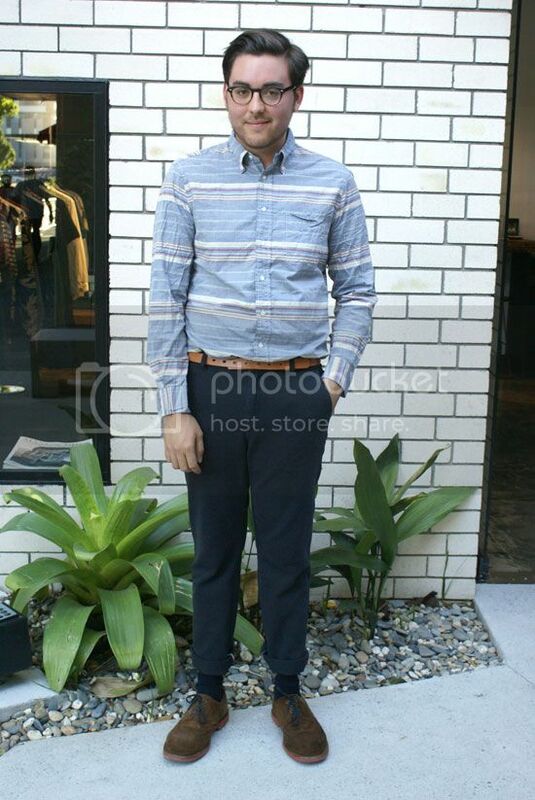 Combine this 1950's style Our Legacy shirt with Acne jeans and Han Kjobehavn sunglasses for a cool weekend look. 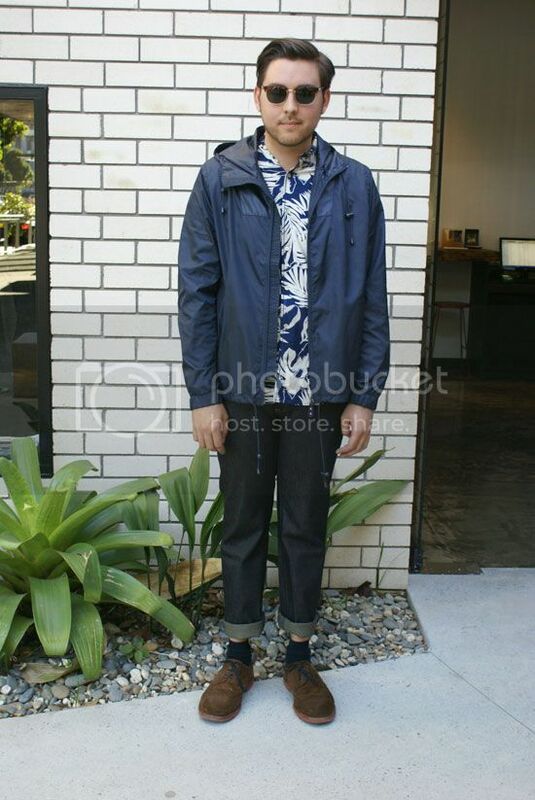 Pair it with the uber-light Acne rain jacket for the perfect balance between function and style. 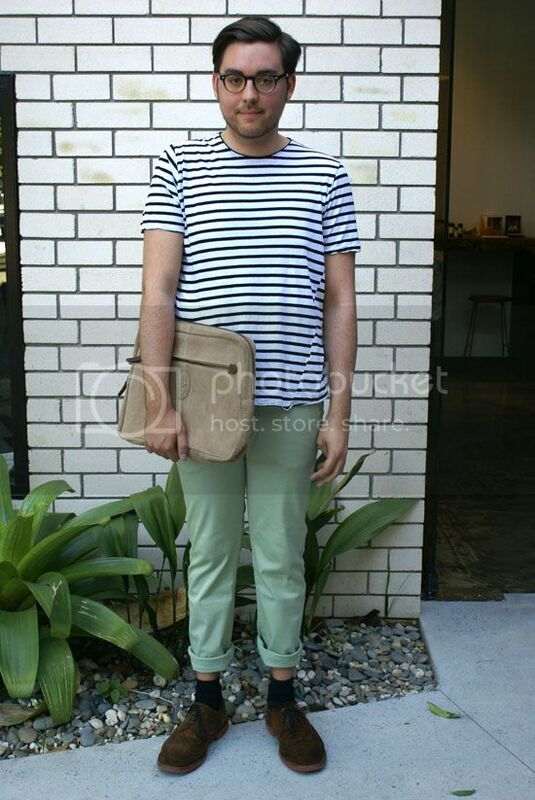 We think that this Bassike tee with Velour sand green chinos and Velour suede bag will send design hunters, architects and the like across Brisbane in a spin. Simple yet classic! If you haven't already heard the news from the world's most important platform for men's clothing and accessories, Pitti Uomo, yellow is the new black! 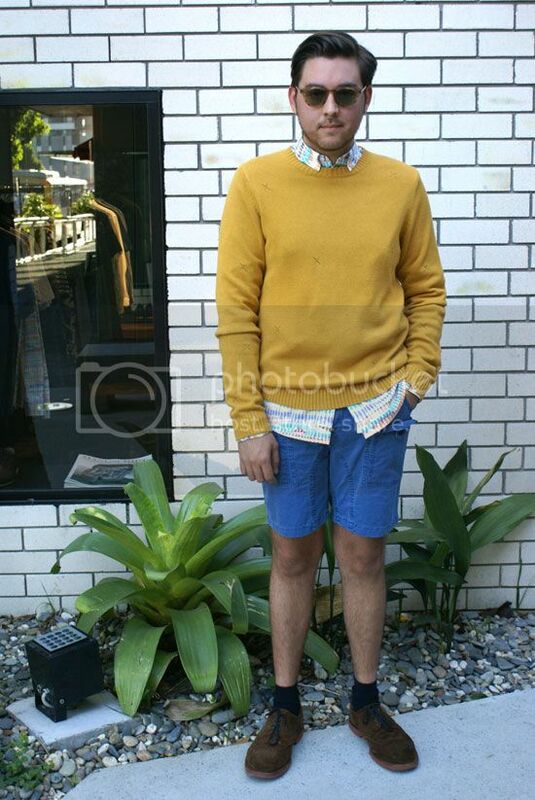 This Libertine Libertine knit in sunshine yellow adds a perfect splash of colour when combined with Norse projects shorts and Han Kjobenhavn sunglasses in horn. The Libertine Libertine shirt underneath is THE ultimate party shirt! Gitman Vintage have been reproducing classic Americana looks with a contemporary twist, and this striped shirt features a slimmer fit and nuanced details. This Gitman shirt has been paired with a MAKR Carry Goods belt and dark navy Libertine Libertine chinos for understated cool!